We replace broken springs fast, fix loose cables and bent tracks, offer top brands in repair parts and the fastest emergency repairs in California. Providing full residential and commercial garage door repair services with great equipment we guarantee fully functional systems. Great emergency garage door company for immediate response and garage door repairs! Residential and commercial garage door specialists for 24 hour services. The typical overhead door system, which has over 300 different parts, experiences all sorts of issues over time. 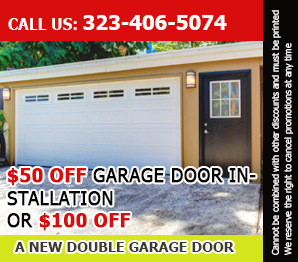 "Garage Door Repair Bell", is here to resolve them completely in an effective and swift manner. The repair, replacement, and maintenance solutions we provide are renowned for their top quality. The urgent same day emergency service is designed to deal with urgent issues in the fastest possible way. Doors and openers of all types, makes, and brands are professionally serviced by an expert team. All sorts of problems from rust and panel damage to broken metal parts and failed electric operator are successfully eliminated by highly qualified specialists. Thanks to their vast knowledge and vast technical skills, they efficiently provide even the most complex repairs with utmost precision. When the only option for the door system to be fixed is component replacement, trust it will be done in the fastest possible way. Our established company is fully stocked with all required parts for providing broken spring replacement or window replacement. In case of an emergency, the most effective solutions are provided straight away to prevent an accident and to fully restore the system's optimal condition and operation. We possess excellent organization and full technical capability to complete door and opener replacement projects. Our professionals in California work with great dexterity and attention to detail. Everything from the garage door hinges and bearings to the spring and wall-mounted button will be absolutely perfect. Maintenance is another one of our widely used valuable services for providing care to all components plus effective preventive repair and maintenance. With us, gain top experts working to provide optimal overhead door operation. The only thing which you have to do is to report the issue and allow us to take care of the rest. Freely share your concerns. * Why is the garage door cable off the drum? This usually happens when the spring which has been installed is inappropriate for the respective system. It is also possible for the cables to have been set incorrectly. Our meticulous technicians identify the precise cause of the problem and provide the required fix. 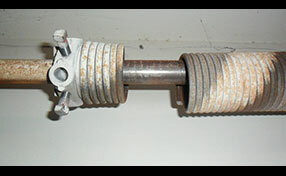 They are fully prepared to provide spring replacement right away, if it is needed. * What if an opener remote is nowhere to be found? If you believe that you have lost the device or suspect that it may have been stolen, get in touch with us right away so we can provide a replacement device quickly. It is best if you stay at home to ensure that no one will attempt to use the missing remote. When offering replacement units, we take care of the programming to restore the previous level of security. 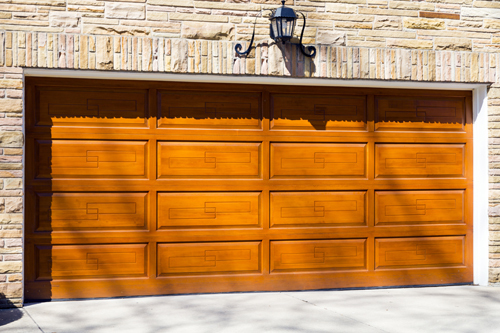 Issues of all sorts are effectively resolved by the outstanding professionals of garage door repair company in Bell. In some cases, the best solution is more complex than the client might have imagined. Even though it requires more work, it keeps the system in top form in the long term. 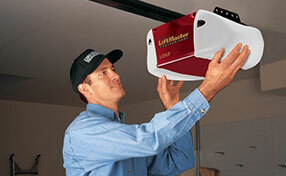 When garage door opener replacement is required, this solution should not be delayed. * Major damage - If several important components such as the drive, track, and logic board are damaged beyond repair, replacing the entire opener can be more efficient and save money. * Insufficiently high safety - If the unit is not designed to work with safety sensors or has a poorly performing reversal mechanism, then it is best for it to be replaced. * Outdated device - It is perfectly reasonable to replace an old unit with a new one which is faster, reliable, quieter, and secure. Use our professional services without hesitation. Securing the garage doors is not obligatory but, if you like, a moral obligation of homeowners to their families and themselves. For better temperatures throughout the year, you must get an insulated door or insulate the existing one.